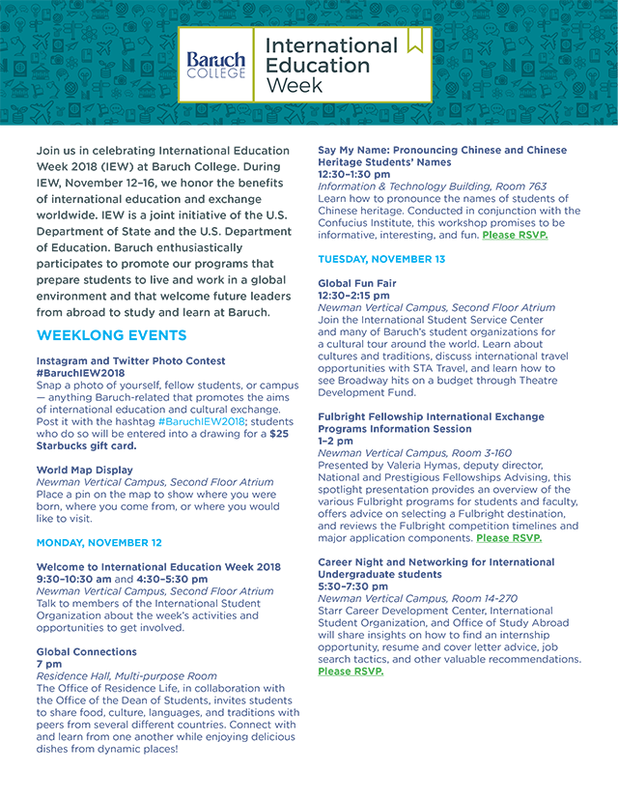 Baruch College is celebrating International Education Week (IEW) on Nov. 12-16. This week-long event is an opportunity to celebrate culture, diversity and all the benefits of international education and exchange across the world. IEW is a joint initiative of the U.S. Department of State and the U.S. Department of Education to promote programs that prepare Americans for a global environment and attract future leaders from abroad to study, learn, and exchange experiences. 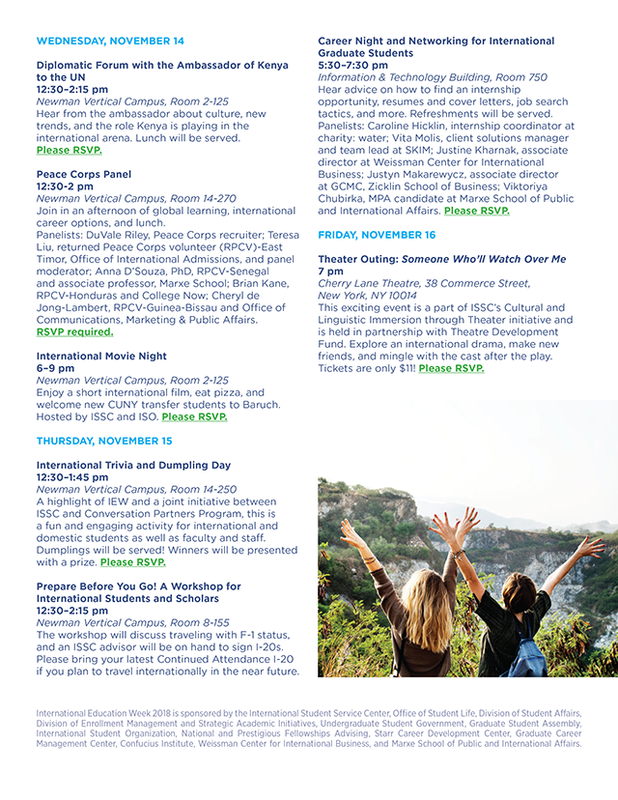 Baruch is hosting a wide range of campus events that include interactive activities such as trivia and workshops, information sessions, career nights, forums and panels, and various entertainment options. The College’s International Student Service Center is working with multiple campus departments, including the Office of the Dean of Students, the Confucius Institute for Global Finance at Baruch College, National and Prestigious Fellowship Advising, STARR Career Development Center, the International Student Organization, and Conversation Partners Program, to host these activities. The majority of events are free and open to students, faculty, alumni, and the community of Baruch College.